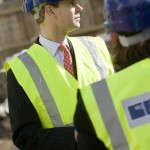 Prince Edward has visited Canterbury to look at work on the building of the £25 million new Marlowe Theatre. 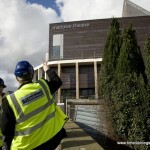 As a patron of the new theatre he was given a tour of the building on Monday. 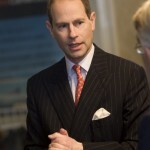 The prince, who is also the Earl of Wessex, chatted to those involved in the project including architect Keith Williams and Janice McGuinness, the head of culture at Canterbury City Council which owns the theatre. He said: “It’s great to see the design team’s ideas becoming a reality. 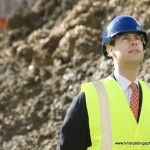 I’m very impressed with what I’ve seen today and look forward with eager anticipation to the finished theatre. I congratulate the community that work together to create a wonderful project such as this. 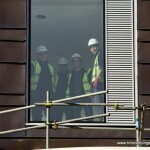 These are difficult times but once it is built the new Marlowe Theatre will be of enormous benefit, not only to Canterbury, but also to the rest of the region.” I was photographing the event as part of my corporate association with the Friends of the Marlowe.